Our offices had another stellar month! Eight of them made our list for September. Help-U-Sell Direct Savings Real Estate in Waynesboro, Va., closed 17 sides in September 2014. 1) Virginia’s Help-U-Sell Direct Savings Real Estate tied for first place with 17 closed sides, with four being buyer sides, 11 seller, and one dual-sided transaction. 1) Help-U-Sell Honolulu Properties had 17 closed sides: one buyer, 12 seller, and two dual-sided transactions. 2) Help-U-Sell Prestige Properties, in Chino Hills, Calif., finished September with 16 closed sides that consisted of one buyer side, nine seller sides, and three dual-sided transactions. 3) Charlotte-based Help-U-Sell Buy Today kept things symmetrical with seven buyer and seven seller closed sides. 4) In a three-way tie for fifth place, Help-U-Sell Central Properties, out of Chandler, Ariz., closed 12 sides: two buyer sides, eight seller sides, and one dual-sided transaction. 4) Help-U-Sell Edmond/OKC‘s dozen sides were made up of eight seller sides and two dual-sided transactions. 4) North Carolina’s Help-U-Sell Triad Realty closed two buyer sides, four seller sides, and two dual-sided transactions. 5) Rounding out September’s list, Help-U-Sell Greensboro completed 10 sides: four buyer sides, five seller sides, and one dual-sided transaction. A special acknowledgement goes out to Help-U-Sell Bay Beach Realty, Help-U-Sell Honolulu Properties, and Help-U-Sell Prestige Properties for selling homes with sale prices of more than $1 million and saving their sellers thousands of dollars in commission. Dan Desmond of Help-U-Sell Bay Beach Realty recently participated in an interview with Bob Snyder of The Real Deal radio show. Help-U-Sell Bay Beach Realty broker/owner Dan Desmond recently participated in an interview for The Real Deal, a radio show hosted by Bob Snyder. During the 30-minute interview, Desmond and Snyder discussed the recovery of the Jersey Shore (Desmond’s office is located in Forked River, New Jersey) and Desmond’s favorite food (veal parmesan), as well as Help-U-Sell’s flat-fee business model, the importance of communication, and how imperative inspections and appraisals are in the home-buying process. You can listen to the entire interview online. On April 25, 2013, Help-U-Sell Bay Beach Realty broker/owner Dan Desmond and Scott Einbinder, a veteran real estate salesperson and consultant, in Toms River, N.J., will debate which real estate business model is superior: flat-fee or commission-based. Proceeds from the highly anticipated event will benefit the local Habitat for Humanity chapter. Dan Desmond of Help-U-Sell Bay Beach Realty will debate the merits of the flat-fee business model on April 25, 2013. While Desmond will be speaking on his own behalf and not as a representative of Help-U-Sell Real Estate’s corporate office, we are looking forward to cheering him on in about two weeks’ time. Since we began operating in 1976, Help-U-Sell Real Estate has practiced the flat-fee (or set-fee) business model. Our founder, Don Taylor, thought the idea that consumers paid high commissions, based on the sale price of a home and not on the actual cost of marketing the home, could be improved upon. Our brokers, all members of the National Association of REALTORS, offer the same full service as commission-based brokers, but charge a flat fee instead of a variable percentage. The flat fee is always at a savings for our sellers. However, we are not discount brokers. Our brokers determine their flat fee based on solid business practices (the market conditions, their profit margin and the cost to perform services) and not based on what the broker next door is charging. Last year, our offices saved sellers $12.5 million in commission fees, when compared to a 6% commission. To us, a flat fee just makes sense for everyone: our sellers, our brokers and our brokers’ agents. If you would like more information about how Help-U-Sell Real Estate’s set-fee business model works, visit our Franchise Opportunity Center website or contact us. 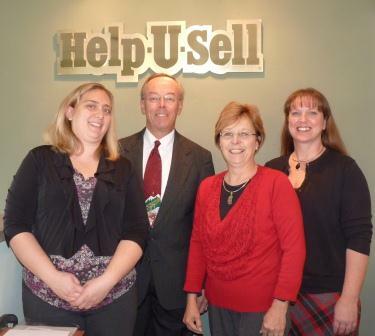 We are thrilled to announce that former franchisee Greg McPherson has returned to the Help-U-Sell Real Estate family! A franchisee from 2003 to 2008, McPherson has been running an independent brokerage in San Ramon, Calif. since then. His new Help-U-Sell office, Help-U-Sell East Bay, will open this Friday, Feb. 1. His office will serve clients as far north as Walnut Creek and south to Pleasanton. Please join us in welcoming him back. 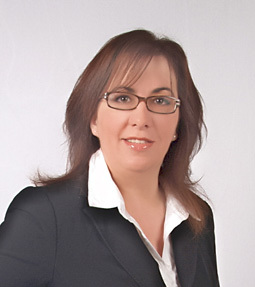 Alba Pytell, affiliated with Help-U-Sell Bay Beach Realty, serves North Central New Jersey. On the East Coast, veteran Help-U-Sell broker/owner Dan Desmond has expanded his Bay Beach Realty office’s reach to North Central New Jersey with the addition of agent Alba Pytell. 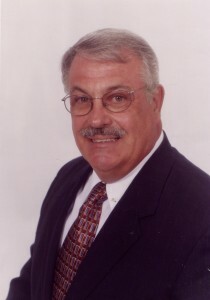 A long-time area resident, Pytell has been practicing real estate for four years. She joined forces with Bay Beach Realty because she has always wanted to be with a flat-fee realty. “I feel like everybody wins with Help-U-Sell,” she says. Pytell has her own website for her territory, which encompasses Morris, Somerset and Union counties. Please welcome Pytell to the Help-U-Sell family. Dan Desmond, owner of Help-U-Sell Bay Beach Realty in Forked River, N.J., has a key piece of advice for new brokers: “Never stop learning.” And he practices what he preaches. “This market changes day to day and will for several more years. I [just] turned 64 and I am in the last of three parts of Graduate of the Real Estate Institute,” says Desmond, who has been in the real-estate industry for nearly a quarter of a century (and with Help-U-Sell Real Estate for five years). He’s also keeping himself relevant in today’s market by specializing. Another way he has adjusted to today’s climate is through his listings themselves. “I am having a much better year than last because I adapted to it. I list smarter and push for a reduction more,” he says. His favorite part of the business is helping people buy or sell, and “especially helping people in a bind to get on with their lives.” To help him help sellers facing foreclosure, he is also a Certified Distressed Property Expert.